We specialize in treating orthopedic and sports soft tissue injuries enhancing performance in athletes and in activities of daily living. For most musculoskeletal pain and injuries, abnormal motion-biomechanics and soft tissue dysfunction must be adequately treated in order to attain effective results and permanent changes. Our goal is to fix your problem so it will never come back, not just provide temporary pain relief. 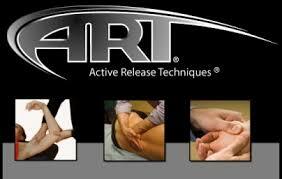 Any limitation or restriction of movement, whether arising from the joints or the soft tissue structures (ie. muscles, fascia, tendons, ligaments) must be identified and removed. The effects of injuries, trauma, or repetitive strain can produce restrictive dense scar tissue which can build up over time, creating pain and limiting normal movement patterns. 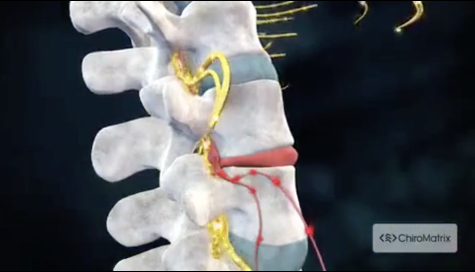 This scar tissue binds up and ties down tissues that need to move freely. As scar tissue builds up, muscles and soft tissues become shorter and weaker, tension on tendons causes tendonitis, and nerves can become trapped. This can cause reduced range of motion, loss of strength, and pain. As we move, each body part moves in conjunction with each other. Therefore one body part can affect another (regional interdependence). This is why one dysfunctional area like the shoulder can produce pain in the neck. In addition, if a nerve is trapped within a short, scarred muscle, you may also feel tingling, numbness, and weakness. 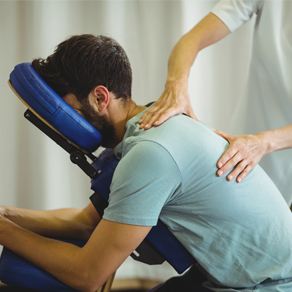 In conjunction with spinal adjustments, Dr. Rawlings uses manual therapies like Active Release Techniques to address altered biomechanics and the soft tissue component of most musculoskeletal pain to attain normal functional movement and reach a permanent correction. At your first visit to Mission Valley Family Chiropractic, Dr. Rawlings will explain the science behind how chiropractic and other manual therapies work (Active Release Techniques), and give you a full evaluation to see if chiropractic care is right for you. If there is a good fit, we can develop a plan of care that is specific to your condition and health goals. If you would like to receive personalized answers to your questions or to schedule an appointment with Dr. Rawlings, please email us or call 619-295-2225 today! We accept most insurance plans. Please contact us to verify coverage. Dr. Mark Rawlings is a San Diego chiropractor who serves San Diego and the surrounding communities in CA . Dr. Rawlings is a native San Diegan who completed his undergraduate studies at San Diego State University and graduated from Los Angeles College of Chiropractic. I've been suffering with lower back pain since 1974 and was dependent on pain killer drugs periodically. How relieving it has been since Dr. Rawlings provided me with hands-on physical massage with his own soothing and caring hands. Since he has treated me, I have stopped taking my medications. I feel so gracious and grateful for Dr. Rawling meticulousness and puncticlious treatment to making me feel better, which improved my quality of life. By virtue of Dr. Rawlings professional competence and concern, I strongly recommend him to others. I could not live my life comfortably if it was not for Dr. Rawlings treatment. His treatment plans, has improve my health so that I can enjoy my grandchildren. Thank you Dr. Rawlings for helping enjoy my "golden years". May the Almighty continue to guide your meticulous hands to heal others.